2.Click on Left bottom side soft button of your Phone. 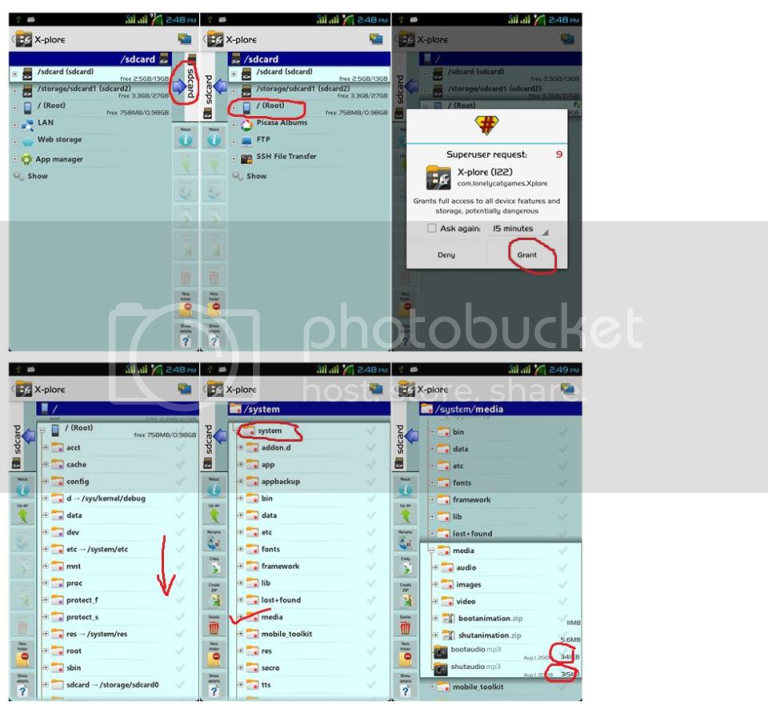 7.Scroll down and expand system by clicking on it.Click on app or media from which you want to delete file,select the files by clicking tick sign infront of it. 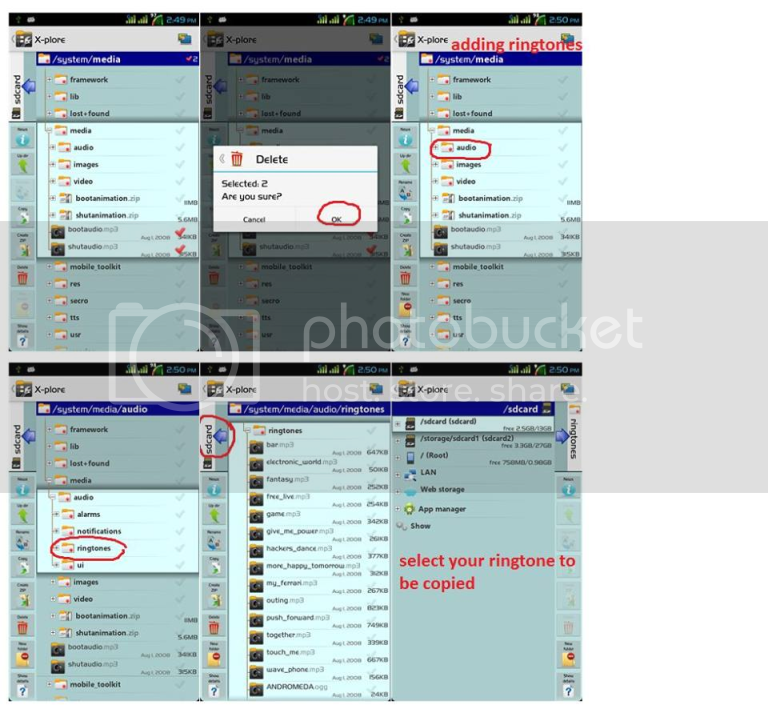 8.Click on Delete and then OK.
10.Click on sd card and select the file you want to add.Then click on Copy and then OK.Again go to expanded root folder by Clicking on its name(for example in screenshot it is ringtones) and go to folder where you have copied the files. 11.Scroll up/down and go to files you have copied.Long press on file and change permission to 644 as shown below. 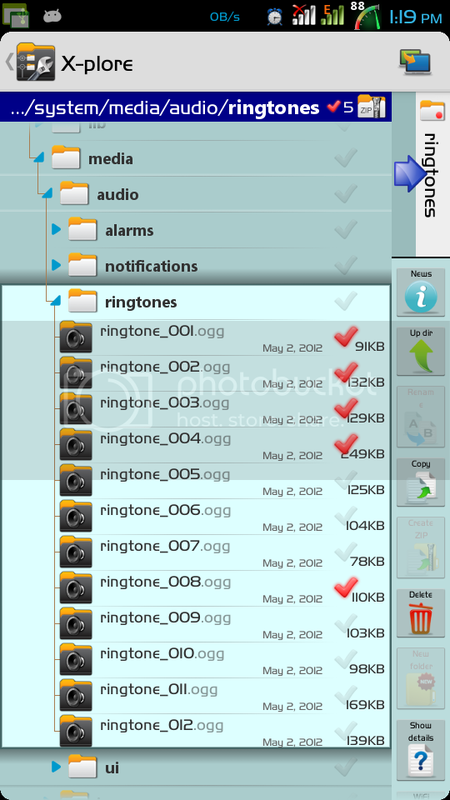 12.Change permission of each copied files.